Kimberly Belle is the international bestselling author of three novels: The Last Breath, The Ones We Trust, and The Marriage Lie. A graduate of Agnes Scott College, Kimberly worked in marketing and nonprofit fundraising before turning to writing fiction. She lived for over a decade in the Netherlands and currently divides her time between Atlanta and Amsterdam. Iris and Will have been married for seven years in Atlanta. Will flies out to Orlando to attend a conference and Iris thinks nothing of it, until she gets a phone call that says he was on a flight to Seattle and the plane crashed. Heartbroken and wanting to deny it, Iris finally has to face facts that her marriage was not as perfect as she though it was. So, with the help of her brother, Iris starts digging into Will’s past. Like many other contemporary stories out there, we have the perfect couple that has the perfect life until something happens to one of them and the other has to discover that things are not as perfect as they seemed. Of course Iris is heartbroken and questioning herself and wrapped up in her emotions. I am sorry, but it seems like most contemporary romance stories like this all have the same pattern. But I will admit that the ending really threw me off, I was not expecting that. That kicked this book up higher than I was thinking. It’s a great book and I think if you were into stories that have this plot line you will really enjoy this book. 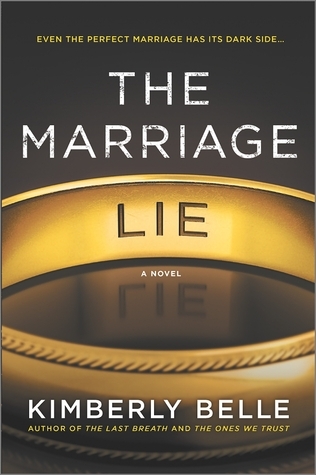 I received The Marriage Lie from the publisher for free. This has in no way influenced my opinion of this book.